I first had this fiery, deeply flavorful chicken dish as a friend’s home along with dosas and ever since hooked to it. I was told it’s a traditional Chettinad chicken curry and that there are quite a few variations to this recipe. In today’s version, chicken is simmered in coconut milk and gets its unique flavor from a blend of quite a few spices like fennel seeds, coriander seeds, poppy seeds, pepper corns, cardamoms and cumin to name a few. Quite a bit of preparation goes into the making of this curry and there is no short cut method and if you have the time and the ingredients on hand, only then venture to prepare and please don’t compromise with the ingredients if you want that authentic chicken curry flavor. 1 Drizzle a vessel with oil and roast the cumin seeds, coriander seeds, peppercorns, fennel seeds, red chillis, cardamoms, cinnamon and curry leaves on medium heat stirring constantly for 2 mts. Remove from fire, cool and grind to a powder. 2 Make a paste of the ginger, garlic, green chillies and poppy seeds. Keep aside. 3 Heat oil in a cooking vessel, add the small onions and curry leaves and saute till transparent. 4 Add the ground paste and cook for a minute before adding the chicken and cook on high heat for approx 4 mts and do stir the chicken once in a while. 5 Reduce to medium heat, add salt, turmeric pwd and tomatoes and combine well. Let the chicken cook in this for 4-5 mts, uncovered. 6 Now add the coconut milk and transfer the contents to a pressure cooker. Pressure cook for 4 mts or until one whistle. Open lid and combine well. 7 Finally add the ground masala pwd and cook for 3 mts. Turn off heat and garnish with fresh coriander leaves. 8 Serve hot with white steamed rice, biryani, chapatis or dosas. Adjust the green chillis, red chillis and pepper corns according to your spice level. Ensure that the chicken doesn’t pressure cook for more than one whistle, as it could get mushy if pressure cooked beyond the required time. In fact, mutton is usually used for this recipe but it tastes equally good with chicken. Looks fiery and yummy! !A perfect entry for RCI. Sailu’s Kitchen simply rocks..I had tried chiken chattinad a week ago and it had come out so delicious beyond my family members expectation..I cooked even aday before yester for few guest and they loved it like hell. The systamatic and simple way you have put uo your writes makes it very easier for freshers like us. Thank you so much..Keep adding few more non-veg South-indian recipes.They rock. My Mom makes chicken curry somewhat similar to this Sailu. looks yummmmmmmmmm . thanks for sharing. Most authentic I have seen. Good detailed description, will try it and let you know the feedback. that is some thick, juicy gravy. looks authentic. love how you give minor details in your posts. I have cooked few recipes listed in your site like gutti dondakaya, bhagara egg curry and dahi bhendi which were a hit in my home. I was in search of chicken chettinad and found yours really tempting and delicious. I never left a comment on ur site, but this time, i took some time to write down…and I am really inspired by ur site and feel like starting a food blogspot. Thanks for the inspiration! Will surely try this and let you know. Terrific recipe. thanks a lot for sharing this. quick question though why do we to transfer to a pressure cooker? can’t we just leave on the stove and let it cook? would this create a difference in the texture or taste? Wow Sailu, I’ve been looking for an authentic Chettinadu Chicken Curry recipe for a while… I’ll surely be trying this one out. It looks awesome! Thanks. We cooked today, that tastes delicious and reminded me of the ‘Chicken Penang Curry’ from the neighbour thail dish. Mostly it depicts how the cultures are mixed with this dish. You have an awesome site. I visit it almost daily, but this is the first time that I am leaving a comment. The pictures on your site are a treat to the eyes. Tried the Chettinad Style Chicken Curry and it turned out great. I have a request for you. Could you please, please, please post the recipe for Andhra biryani, not the muslim hyderabadi biryani (I already have that recipe and prepare it regularly). 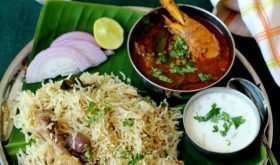 I have been searching high and low for the Andhra biryani recipe, but could not find a decent one. Please help. Keep up the good work. I’ve just made this dish, and it’s lovely. However, I didn’t do mine in a pressure cooker, and it’s a bit lighter than yours and the texture is slightly different (creamier). Could that be because I didn’t do it in the pressure cooker? Also, what do you mean by flakes of garlic? Cloves of garlic? I served this dish at the dinner party tonight (together with your pepper chicken which is a real hit! ), and my guests enjoyed it a lot! Many thanks! Thanks for the lovely recipe. I tried it and its come out just wooooooooow! Wish I had a camera and could take a picture to send you? Thanks a million for makin this blog available. I had visitors over the weekend and was left with a daunting task of cookin for these people. This was my first time and thanks to you, every item in the menu was from your kitchen. Best part is, I am being weighed down by their praises. I can’t contain my happiness, I have never cooked for any one else except for my husband until then. N the day I began the cookin, ur site went down, n I panicked like crazy because your blog was my only saviour :-). My stars were in favor of me n it was up n runnin by afternoon. Every item from breakfast to the desserts after the meals were from your blog and they tasted divine. My guests over ate and scarped the bottoms 🙂 ! My guests joked that I could open a eating joint with the kind of food I cooked. I owe it all to you Sailu. U must keep all those recipes coming for learners like me. We tried this recipe yesterday and came out really good. Thanks a lot for sharing the recipe. in kerala we have a similar tasting chicken curry made out of ground coconut and this tasted just like that one….so i was delighted, this is less effort and same taste…. The recipe for Chettinad Chicken was fabulous. I just made and it and it was a hit. I just love the colour of the gravy. Thanks a lot for a such a great recipe. PS: I have been visiting your blog for a long time, but never left any comment before. You have a great blog and the pictures are mindblowing. I love your blog. Thanks for the good resipes that you put up. I made the Chettinad Chicken 2 days back and it came out really delicious. We thoroughly enjoyed it. thanks a bunch. I also tried the Chicken Masala Balls some time back. It was very very tasty. I think I can bravely try all your recipes without having any hesitation. Thanks so much and keep up the great work. You are doing a great job… I tried the above posted “chettinad chicken” recipe and it turned out really well. I really love your blog. I have tried most of your recipes. I am a telugite, basically from Bangalore, currently residing in US. 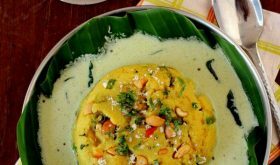 I love authentic andhra food and I always wanted to cook Andhra style, but I didn’t get proper Andhra recipes, until I found your website. Your blog has good descriptions, amazing pics of each and every recipes I have ever seen. Cool recipe!!! 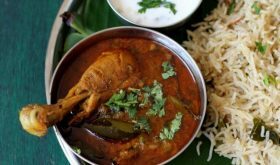 I luv chettinad chicken, the authentic dish of Tamil nadu. Too bad, i found this recipe when my chicken already half cookin. Wanted something really spicy for diwali. Anyway, will try soon. I love desi non veg but have rarely made it and am going to try making the chettinad chicken step by step. Do you mean the onions (sambar onions)should be kept whole? Will they turn transparent after frying in 1 tbsp oil? Thanks, M.
Saute the sambar onions for approx 4-5 mts on medium heat. This is the best recipe ever. I would have done this atleast 20 times and still people when they come home ask me to do this. Keep up the good work and thanks !!!! Sailu I tried this a couple of times and it was just delicious. Thanks so much for sharing such an authentic recipe with us. Sailu.. Just wondered if you knew about this plagiarism. BTW your dish looks so good. Am going to try it out this weekend! I am going to have 15 guests this weekend and i am not sure about the quantity.. would it be ok if i use 4 LB chicken, doubling the ingredients? can i substitute with big red onions? Also can i use canned coconut milk? Any hints are fine and am fairly new to cooking. have tried many of your recipes and each single one of them came out great! i made your fruit cake too, but it was little brittle and dry though, not really moist, am not sure what did i did wrong? any thoughts? Please let me know. Thank you, dear Sailu. Yes, Shruti, you could double the ingredients, use big red onions and also canned coconut milk. Follow the recipe and double the quantities. Regarding the cake, its not supposed to be too moist. You didn’t do any thing wrong if you followed the recipe. I always go through your site. the pictures itself make us feel hungry. I am glad that you are from Andhra. I am from Vijayawada. I tried many of your dishes. Today I saw your Sabhudhan kichidi. I will try it tommorrow. Thank you for sharing your recepies with us. Being a first time visitor , I found this recipe very interesting and immediately cooked. It tasted very good. I have used all ingredients as per the given measurements but the curry came out very dry with very less gravy. Any suggestions? I used a little less coconut milk than mentioned in recipe. (3/4 of the quantity). Will that make a difference? I see the curry in the picture to have more gravy. Any suggestions? Can I add water? Overall trust me It came out excellent. Thanks for this site. Will try others too. You could add more water, Deepti. Maybe you cooked the chicken for a while longer than required that the water evaporated and you might ended up with a less gravy (almost like a fry). Your recipes are really good..
Just wondering if you know anything about dekka (crab claw meat) pidupu? If you could publish that info, that would be awesome!! I saw your blog for the first time and I tried this recipe.It came out very well… I regret that I dint get a chance to see your blog earlier. Anyway, better late than never. Your recipes are simply amazing and the photos just make them more yummy!!! Today, I will be trying the chicken masala balls…Hope it comes out well. Thanks for all your recipes..
My name is Tanuja and i live in London. I tried this recipe of yours and it came our very well. My husband simply loved it. i did use the pressure cooker though. But was satisfied with the color and it was yummy. Looking forward to try some more this weekend. I tried your recipie 2day. taste is really good. but its not your consistency and colour. I am planning to have it with dosai. thank you for ur recipie. I tried all the chicken dishes posted by u..
tastes awesome….specially the chettinad and pepper chicken curry…infact took prints of that and gave it out to mom and aunt….they liked the pepper and chettinad chicken too!! but the issue that i face..when i make a dry powder…it doesnt get fine in the blender..it is course….I assume the taste would be much better with the fine powder!! This is the first time that i’m leaving a comment.I just love all ur recipes..& the pics r just awesome! !Yesterday,i tried out chicken chettinad & it turned out so delicious.My guests loved it:).Thanks a lot for the recipe. I tried this today.It is really awesome .. The photo looks very very yummy!!!! I have tried your recipe .. it was simply delicious.. i didn’t pressure cook also i used cashew instead of poppy seeds which are not available here in the middle east.. . This recipe is a great one.. I recommend all to give this a try..
Do you serve any chutney with this scrumptious curry? This is a chicken curry that can be served with rice or rotis or bread. i recommend everyone to give it a try. Thanks for your recipe.. My gravy didnt have the same colour?? Why would it be? The variety of red chillis used for the recipe could make a huge difference. Like the rest of your readers, I often come to your site for the simplicity of the directions even for complex recipes. Your pictures are very motivating as well! My question has to do with the roasted spice powder being added at the very end… as a novice cook i was just wondering why. Would the spices completely take over if – for instance – the powder was sauteed along with the onions/curry lvs? Aparna, you will have to saute onions really well before adding the spices. The recipe was very tasty. this is going to be my 1st chicken dish i’ll be cooking.. hehe.. have cooked jst 1ce before 🙂 … thx for the simple directions!! looks and sounds so fine i ordered spices and seeds that i didn’t have so that i could make it. but i don’t have a pressure cooker. could you give instructions for top of the stove so i don’t cook too long and make dry. thanks for your help. You have become a part of our family. Your recipes are wonderful….I would name them as Never Fail recipe….One can find many recipes on the web, but the way your provide the steps and prcoedures, its so easy for a starter like me to follow. 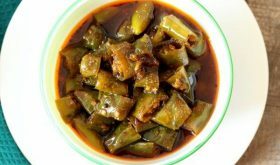 This chettinad recipe is excellent and a favourite dish of my husband. We have tried almost all the chciken recipes that you have listed so far on this website. Thanks Sailu for being so kind to share your talent with us. You have indeed taught us the true taste of chicken. You have a wonderful blog. I have a tried a few recipes from your site and Chettinad style chicken is one of them. It is a fabulous recipe and has gained a permanent place on my menu on special occasions. Thanks a lot for putting in so much effort and providing us with wonderful recipes. Your recipe is awesome. i have tried this chettinad chicken recipe and it is an excellent recipe. i like ur recipes very much. thanks for posting chettinad chicken recipe. I like to try different dishes. One day I thought to try chicken curry differently, so i tried Chettinad Style Chicken Curry, it came very tasty. i have one doubt instead of coconut milk can add coconut itself? Sheela, coconut milk works best. In case you can cannot extract coconut milk, add 5 tbsps of grated coconut. Thanks for sharing the recipe. But I have a small clarification on this dish. Can’t we use Chilli powder in this dish or if we use it will the taste changes? You can use chilli pwd and omit the dry red chillis. But dry red chillis when dry roasted and freshly ground enhance the flavor of the dish. u recipe for chettinadu chicken is too good..keep it up.. Your website is just amazing. Your attention to detail (even minor) is truly laudable. My husband’s a strict vegetarian. So I made “Chettinad style Potato Curry”. Loved it to pieces. Makes me proud you are a Vizagite. Thanks for sharing this recipe, I tried it out last week and we loved it. Spicy and delicious. Infact I also tried one of the brinjal recipes and liked that too. i must say…ur blog is a blast!!!! simply great recipes!!! we tried the chettinad recipe…and it turned out as the best chicken curry i ever ate! 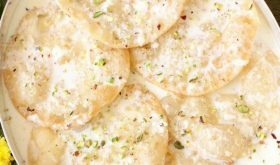 thanks for sharing the recipe 🙂 we make this almost every week now 🙂 i am regular visitor to your website….its awsome!! keep it going!!! Hi there, I am planning to try out this dish. However, I do not understand the garlic flakes part. What does it mean? You mean the whole ginger pieces?? pls enlighten. Thanks. I meant garlic cloves, the individual cloves form a bulb. Thanks for informing me, Srilekha. Appreciate it. I saw ur comments on my blog, I got the pic from another website..I have mentioned it to ur reply, anyways apologies. Keep going. You have good collection of recipes. This is my first visit on your blog, but your style of presentation is intresting. I was wondering why there was a picture of tomatoes, when no tomatoes are mentioned in the recipe. Are they needed? Go through the recipe once again. Tomatoes have been mentioned in the ingredients list and in the method. The only thing I was really disappointed with was the color :(( it came out more yellowish rather than what your pic depicts…I followed every step….wondering where I went wrong? Sometimes the store bought spices differ in terms of color especially red chilli pwd. As long the taste is good, you shouldn’t worry about the color. your website is simply awesome…its also a lunch/dinner saver….jus looking at ur pics enthuses me back to the kitchen even after a long day!! and not one recipe has tasted even mediocre..everything tastes absolutely delicious! thank you so much!!! can you actually cook 1 kg of chicken in 1 tablespoon of oil ? Since I have used coconut milk in this recipe, I reduced the amount of oil used for cooking the chicken. Usually 1 3/4 tbsps to 2 tbsps of oil is required 1 kg chicken. i am planning to prepare this dish for my husband’s b’day.A quick doubt…do we have to add the shallots with out chopping them?plzzz reply…. Yes, add the shallots without chopping, add them whole. sorry one more question…just in case if i don’t get shallots how many red onions should i be using? sorry to bother you…don’t want to spoil the dish. Your dish looks simply superb. I am planning to prepare this dish for my family on this coming weekend and i’m going to start by using 1/2kg chicken first and as such, shall i reduced the amount of the other ingredients into half as well. Could you help me to confirm on this. Thanks for the recipe. Doesn’t the chicken need to be marinated? Do the spices enter the chicken even without marinating? I see some recipes which need marinating – like your spicy chicken masala curry recipe, and some others that don’t need a marinade. What’s the difference? Marinating is usually to tenderize the chicken.In this particular chicken recipe, you need not marinate the chicken. Thank you, Rao garu, for visiting my blog. There is no Telugu version of the recipes available at this point of time. Its called saunf in Hindi or sompu in Telugu. I have tried this recipe today and it came out very good. Thanks for sharing this recipe with us. Main thing i dont know about sailu’s food, one day i have seen in saakshi telugu news paper. i like all your non veg and veg dishes also. really really very nice. nijanga ela chepalo telyadam ledu asalu meeru website create chesinanduku meeku thanks cheputhunnamu. I tried your version of the CChix Curry, it was a blast. Just love the flavors of Chettinad cooking. Thanks a lot for sharing this wonderful recipe. I just saw ur recipe and i like it a lot..now i am planning to cook this dish and have a Q..I cannot find how much roasted powder i should add to this chicken..could u pls answer? You have to use the whole roasted pwd..
i also have another doubt..can i use same amount of ingredient for less amount of chicken? You have to reduce the rest of the ingredients according to the quantity of chicken used. I tried this recipe and came out very good. Many thanks, for your recipe. You can omit it if you do not have it on hand. The dish was delicious. Thankyou much…. I am going to try this the first time. Should i put the small onions whole or chopped? Yes, add the whole small onions. No need to chop them. Precise measurements,easy to follow to steps,inspiring photo. Wow wat a dish, Would like to impress my hubby with this wonderful dish. I have tried it yesterday. It came out so well. I tried this chicken recipe for a potluck lunch at my office. It came out real good and got appreciation from many people. Thanks for sharing. My husband loves Chettinad chicken……thanks a lot for the recipe. Visit my blog when time permits. I am going to try this tonight.Hope it will turn out good !! I have gone through the ingredients , I like this resaturday sunday is my off, I will certainly make this dish. this is one of the nice post i like this a lot. you are too good man. I tried this recipe and it turned really yummy! Thank you for the wonderful recipes. I do use your site a lot. I have some of the masala powder left over. Is there another recipe / veg / meat that it can be used in? Can you confirm that it is: 1 1/2 tbsps (TableSpoons) coriander seeds that seems out of proportion to the rest of the spices. Yes, its 1 1/2 tbsps of coriander seeds. When you powder the seeds, it will yield about a tbsp of coriander powder. in your recipe how many cloves of garlic would be required to substitute ‘ 8 garlic flakes’ ? Please revert soonest. Regards. i have noticed that the words ‘ cloves’ and ‘ flakes ‘ of garlic are always interchanged and often confusing in recipes. Sailu used it correctly. Clove of garlic is the whole pod of garlic and flake of garlic means the singles. hi.. Recipe turned out too strong 🙁 the roast and make powder became a bit strong. before I could realise I put all the powder in the chicken 🙁 hope my hubby likes it. I feel it would taste better with rice. Today i am going to try this chettinad chicken,,, i hope it will be a better one and Yummmmyyyyyyy!!!!!!!!! I tried this gravy last night… The aroma of the curry kept lingering throughout my house and everyone in my house loved it!!!!! But just one thing was concerning that the spicy flavour did not penetrate into the chicken pieces, they were still tasting plain.. Any suggestions on how to avoid this? You can make small incisions on the chicken pieces so that the spices permeate into the meat! Make small cuts on the chicken pieces and then smear them with chilli powder or pepper powder, salt and turmeric powder, and refrigerate overnight. Make sure that the incisions aren’t too deep, because if the meat is tender then it might fall off the bone easily as it cooks in the gravy. That would be disastrous. i usually marinate th chcken wth basic spices(haldi,red mirchi pwdr,ginger-garlic paste nd some salt) as soon as i buy it…th spices penetrate th chicken pieces nd u can just cook them evenly and add to any dish. Just tried it tonight after getting fed up of my usual chicken dishes. Thanks you. This was just what I needed to get my faith back in cooking. I’m trying out your recipes at home and get brilliant output ! This came out awesome !!! Thanks to Revathi aunty & to you for sharing this recipe !!!! hi mam. i am trying your recipes almost everyday. never failed me. love ur work. one small doubt. i am thnking of using mutton for the above said preperation. wat r the changes that i shld make? or is it the same for mutton also? Yes, follow the same procedure except at Step 6, pressure cook upto 3 or 4 whistles. i tried this receipe and it turned out so very well, dat I was indeed surprised wid my cooking.. thanx a lot.. looking forward for more tasty receipes..
Hi Sailu. I tried this recipe today and my husband just couldn’t get enough of it. The dish looks really yummy. I am definetly going to try it. But i have one query regarding shallots. Here you have used whole shallots instead of it can i use finely chopped onions. Will it give me the same result? Please guide. You mean coconut milk? Yes, you can use store bought coconut milk.